IoT projects can be categorized as high technology with an extremely dynamic product development lifecycle. To be a leader under such conditions, organizations need to focus priorities on achieving shorter product development cycle along with organization agility and workforce agility. Many researchers have tried to identify the enablers that affect workforce agility in different segments, but none has really looked into the IoT project environment. 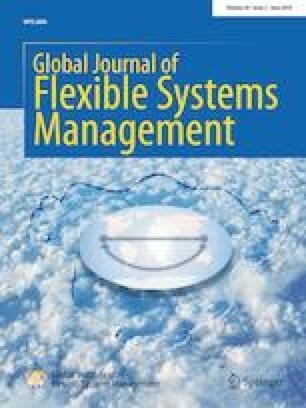 In this paper, efforts are taken to model the enablers of workforce agility in IoT projects and to understand the interrelationship among enablers using total interpretive structural modelling. The current study makes an attempt to provide a hierarchical structure representing the driving enablers and the dependent enablers and to give the order of enablers with respect to influence on workforce agility. Results indicate that employee proactivity, innovativeness, resiliency skills and ownership or self-motivation bring agility in the workforce. These enablers help employees to act in all decision-making situations to achieve IoT organization goals faster. We declare we do not have any conflict of interest with respect to this manuscript. Worldwide IoT forecast. (2015–2020). IDC # 256397, https://www.idc.com/infographics/IoT/ATTACHMENTS/IoT.pdf. Accessed 15 Sept 2017.